The versatile Silica line of high-performance woven and non-woven fibers can be customized and tailored to fit your requirements, and their capability to withstand temperatures of up to 1150° C (2102° F) means that they are virtually fire-resistant. Silica products are widely-used in various applications across the automotive, defense, aerospace, railroad, appliance, and shipbuilding industries, and more. 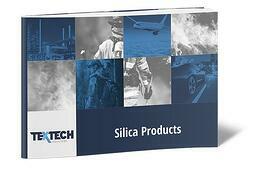 To learn more about our Silica line of products, fill out the form to the right!